What Makes The RevoFit System Revolutionary? The most significant feature brought by the RevoFit system is the fact that the patient can continuously adjust the RevoFit to suit their needs. This gives amputees a freedom with their prosthetic which they may not have experienced before. Patients can fine tune their own prosthetic to fit comfortably whatever the conditions of that particular day may be. If the residual limb is more swollen on a particular day the RevoFit can be adjusted to supply the perfect amount of comfort without compromising mobility. The RevoFit is compatible with the majority of socket types currently on the market. This system makes the process of fitting a prosthetic much faster for the patient. Instead of seeing your doctor with pain or discomfort for which they need to grind away or add padding to your artificial limb, you can simply adjust it yourself at any time. This has the added benefit of allowing patients to be fit with the RevoFit without having to fit multiple prostheses in order to find the best one or the best fit. RevoFit allows the patient to choose the best fit for differing days, conditions and situations. The RevoFit options are not rigid in their design and can be fit almost anywhere on the socket where it will serve the patient best. The socket of the RevoFit is cut out and fit by your prosthetic professional and you will be given a step by step guide to how the RevoFit will work for your particular case. The Boa system which the RevoFit employs is a ground breaking system which allows patients to control the socket fit with the turn of a dial. 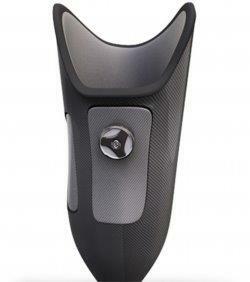 This allows for high performance endurance from the individual with a well fit artificial limb. The ability for the patient to adjust as they go makes it a natural choice for athletes who compete with an amputation. The Boa orthotic solution makes it simple for athletes to adjust their prosthetic for different activities like running, swimming and even snowboarding. One system can work in multiple ways to suit each individual in their daily activity. This is a simple and elegant revolution in prosthetic limbs for patients to vastly improve their mobility and quality of life. Contact us to start your prosthetic fitting journey for a new lease on life.